We spent the Memorial Day weekend up on the St. Croix Flowage near Gordon, Wisconsin. See my post on Pagac's Pines Resort for more information about our summer place. 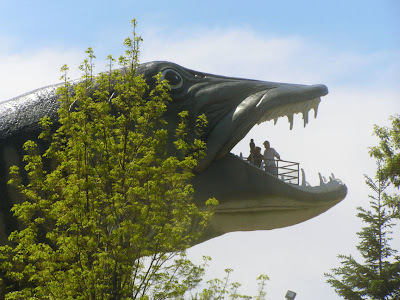 We arrived on Thursday and spent Friday driving about thirty miles east to Hayward, Wisconsin and touring that area. If you walk into the Walgreen's pharmacy, you will certainly notice the fishing poles in a barrel by the door. 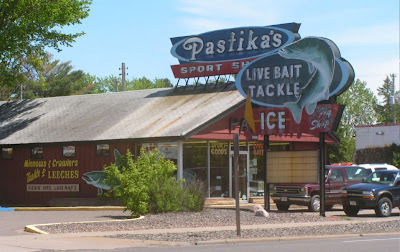 Close by Walgreen's and McDonald's you may see the signs for Pastika's bait shop. Stop in. This is the oldest bait shop in Wisconsin. "Since 1921." You will notice that we don't waste much in this part of the country. 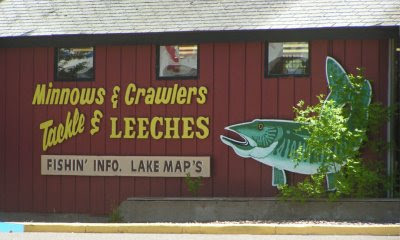 Not even our leeches! This is cabin, lumberjack and fisherman territory! Now, Paul Bunyan and his blue ox, Babe, roamed the northern part of Minnesota. But, they probably fished right here near Hayward. Just check out the size of this Muskie! 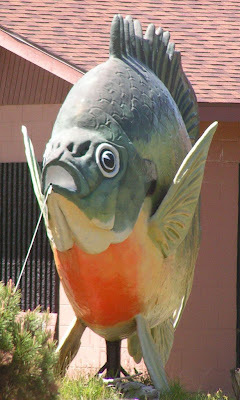 Hayward is the home of the Freshwater fishing Hall of Fame. 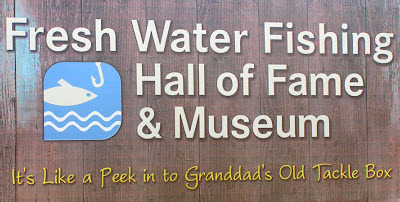 If you have any interest in old lures, motors or fishing records, this is a must see place for you. Hayward began as a lumbering and sawmill town like many others in what were once known as "the Pineries." Tall White Pine trees ranging up to six feet in diameter grew in dense forests across Michigan, Wisconsin and Eastern Minnesota up until the second half of the 1800's when they were harvested for the lumber to build Chicago, St. Louis and many other Midwest cities. The story of the local mill is told briefly on this historical marker. Minn.; and A. J. Hayward, of Chippewa Falls, Wis.
sixteen seasons through 1899; total cut, up to 1899, 540,000,000 feet. history you and others may write." Sadly, McCormack was correct. 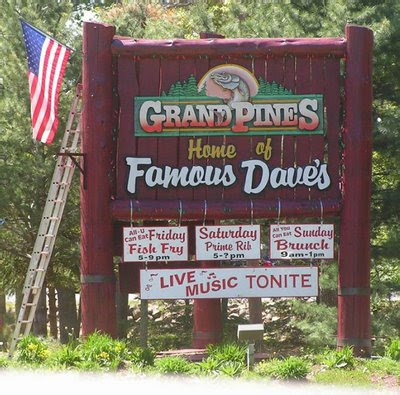 There is only one place in the Minnesota-Wisconsin area that we can get a glimpse of the magnificent White Pine forests that covered this area. That is at "The Lost Forty." A subject for another post later this summer. 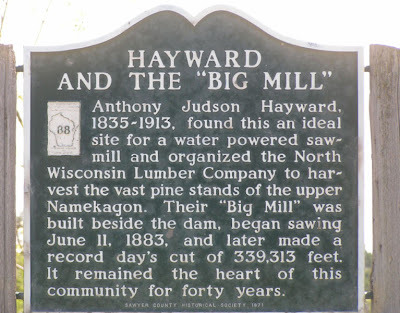 Like the Hayward lumber company, you will find Fred Weyerhaeuser's name on the ownership lists of a large number of Minnesota-Wisconsin mills although not prominently featured on the mill itself. While most traces of big timber lumbering are now long gone from the Northwoods, Hayward has found a way to continue to make money from the lumbering trade. Each summer, the Lumberjack World Championships are held in Hayward. You may have seen parts of the championships on ABC Wide World of Sports, many years ago. This year's event is the 50th anniversary show. The locals have adapted well to the new environment. 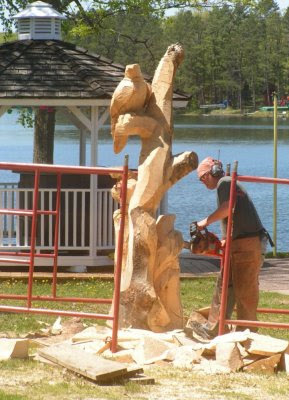 Here one is using his chainsaw to help an eagle escape from the interior of a large log. 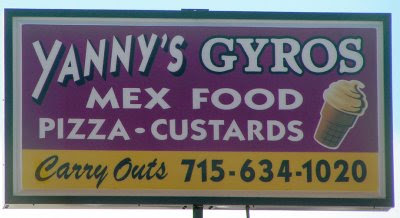 Hayward has an eclectic group of restaurants. 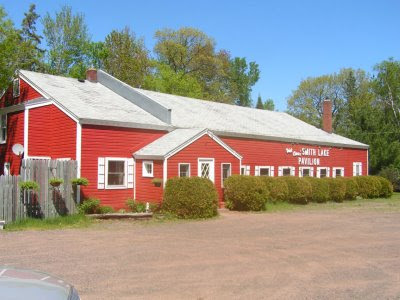 We used to note that it was difficult to find an ethnic restaurant in northern Wisconsin. Here Yanny tries to do it all in one shop! But here are several places easily overlooked, but worthy of a stop. 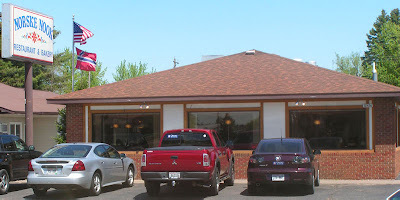 The Norske Nook is a well known place to stop for pies along Interstate I-94 in Osseo, Wisconsin. They also have a branch here in Hayward. And yes, that is the Norwegian flag flying just below the Stars and Stripes. 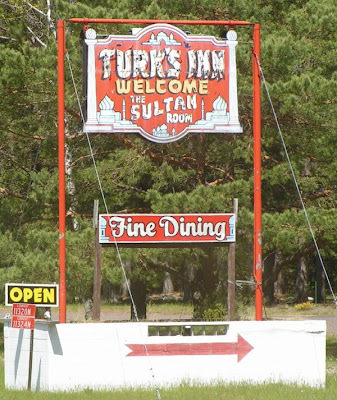 Just a couple of miles north of town, toward Cable, you will find Turk's Inn. Turk's is a classic Wisconsin supper club. Worth the stop just to look it over and remember dining out in the 1950s give or take a couple of decades. They are only open in the evening. Head east of Hayward on "B" and after about eight miles, you will come to the original Famous Daves. 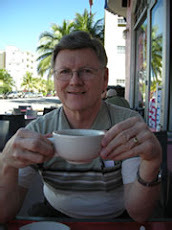 Dave Anderson, founder, now has a chain of 170 Famous Dave's restaurants around the United States. Read his biography and you'll learn a great lesson about not giving up after your concept initially fails. Order the Georgia Pulled Pork! Are there souvenirs available? Yah, youbetcha! 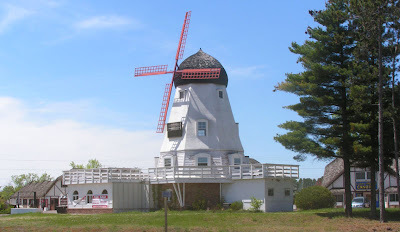 How about a windmill? This famous Hayward landmark (built in 1980) contains about 2,226 square feet of space and is available fo$219,000. How about opening a dutch restaurant? 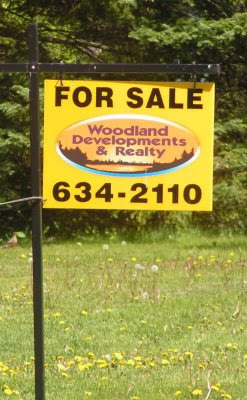 It's for sale, although the Realtor doesn't list his website on the sign. Just go here and take a look at the interior shots. 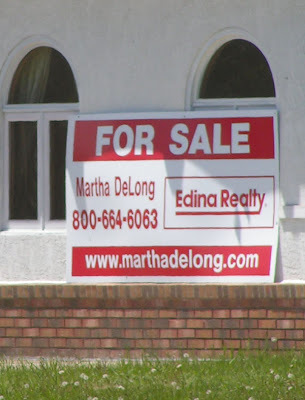 Only $299,999 and this one comes with 86 feet of lake shore too. 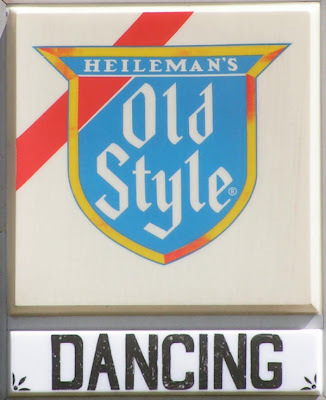 Why the Old Style sign might be worth that much some day. I would also have a link here to Al Capone's Hideout located about fifteen miles southwest of Hayward. Roadside America reports it closed at this time. This place is worth a trip if it should reopen. 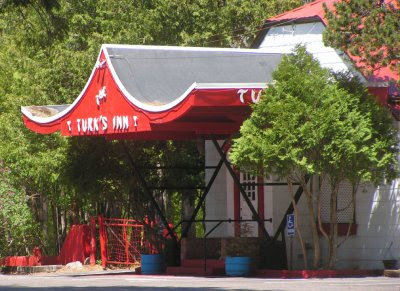 In the meantime, you will just have to accept the notion that Turk's, referenced above, was one of Capone's favorite spots and visit them for a great steak. 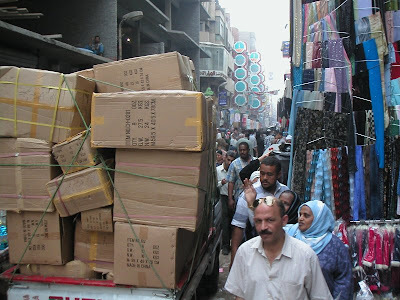 I've written a couple of previous posts about Egyptian traffic. 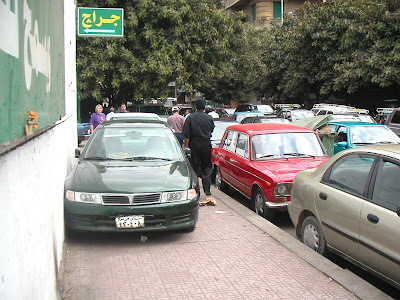 Anyone who has visited Cairo has traffic stories to tell. 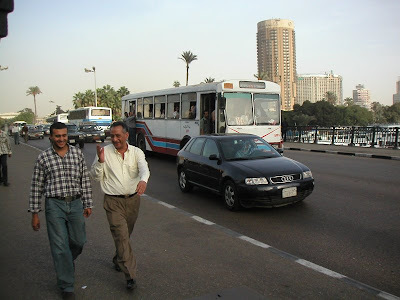 The wonderful blog Whazzup Egypt just alerted me to this article by a BBC reporter on the traffic situation. And a recent accident on the Ring Road was so horrendous that friends even called to report on it. Initial reports put the death toll at four but I saw later reports rising much higher. 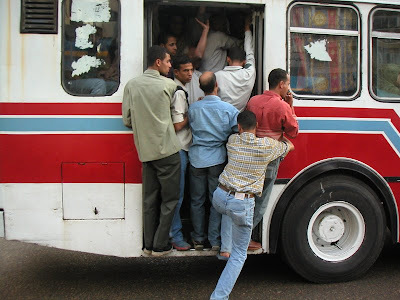 One should always use caution when traveling within Egypt. This recent report from Luxor confirms thoughts that I have had when considering the balloon rides available there. 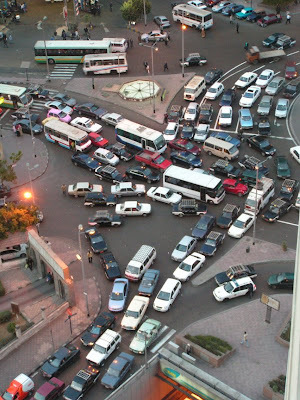 Be especially cautious at intersections where the traffic may be heavy. You can't wait for the cars to stop!